Julians Berry Farm and Cafe Tois Challenge may be the upcoming event you’re looking for. One of Whakatāne's iconic annual events this is a multi-terrain 18km loop on the beautiful coastal Nga Tapuwae o Toi track, organised by the Whakatane Athletic and Harrier Club. Tois Challenge 18km course follows the 'Nga Tapuwai o Toi' track, which literally means 'In the Footsteps of Toi', after the Maori chief Toi who ruled the area some 800 years ago. 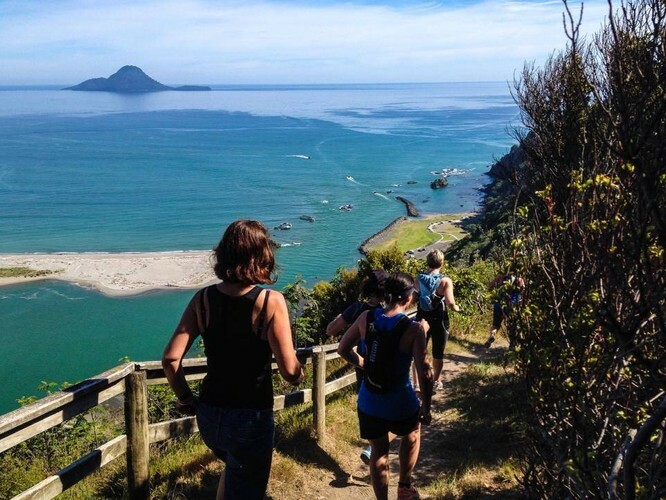 The trail twists up and down steep coastal hills and along two beautiful beaches, through stunning bush, up and down hundreds of steps, eased by stunning views of the sparkling Pacific Ocean and distant islands. This challenge can be taken on as a team of two. Until the very last dash to the line, Toi's remains unrelentingly hilly. But your mind is taken off the tough terrain by many inspirational signs along the way, the great camaraderie with other participants, and the thought of the juicy strawberries everyone receives at the finish line, compliments of Julians Berry Farm and Cafe.